UPGRADED RICHMOND WEST! ENDLESS UPGRADES include:Furnace (12) basement (12) New backsplash in kitchen and in both upstairs baths, new ceramic/marble tile floors, granite counters throughout, central air con, central vac, mudroom, fully finished basement w/ oversized windows suitable for 4th & 5th bedrooms, & 3 piece basement bathroom. FANTASTIC LOCATION: Walking distance to Bairdmore Elementary, Junior & High Schools, 3 neighborhood parks/playgrounds, & Pembina Hwy & all amenities. GREAT LAYOUT: Combo living/dining room, large eat in kitchen w/island overlooking the backyard & walk-in pantry & solid cherry wood cabinets. 3 big bedrooms, 2? upgraded bathrooms, large dbl garage w/extra storage, enviable curb appeal, spa-lke ensuite w/ceramic tiled shower w/glass enclosure & vessel sink including oversized 2 person jetted tub. Houses placement allows direct sun exposure all day & late into evening onto a big L-shaped back yard that can accommodate a pool, garden, or ample play & leisure space. ss now otp2/19 Winnipegs Estate Seller. 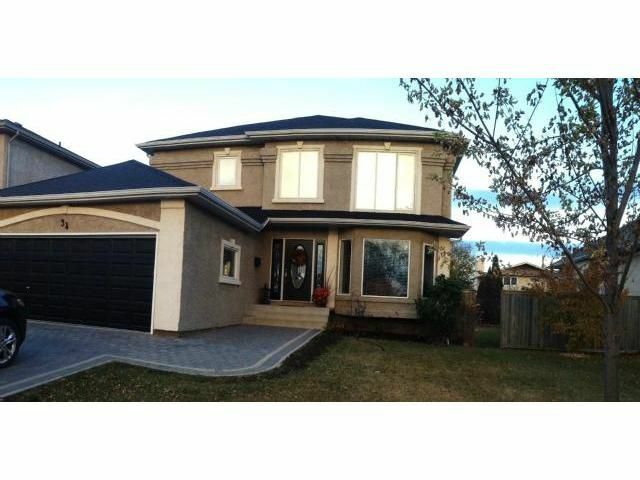 "I sell the home and everything in it" Whyte Ridge listing expert/specialist!